The demand for commercial new construction remains high in the Greater Boston area. As Boston attracts high-tech businesses, those companies often demand new and modern buildings. The challenge for developers is how to finance these projects, as self-funding is often not feasible. 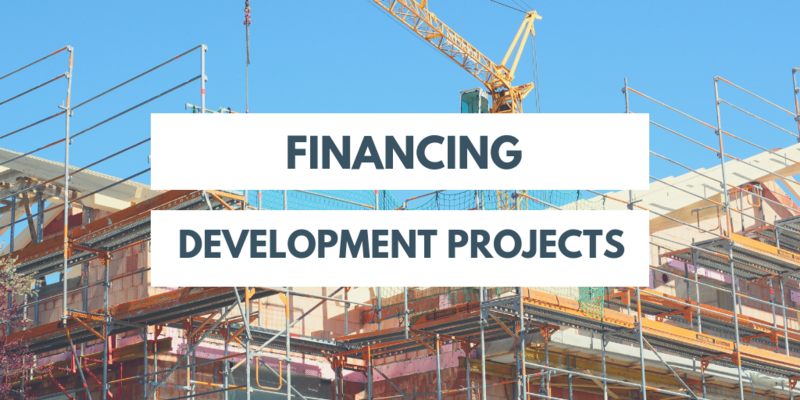 Here’s a look at the most common options for financing commercial development projects in Boston. Traditional lenders have always been a helpful resource to Boston developers. However, the type and amount of funding can vary. The needs of a developer can also influence the type of financing program needed, such as short-term, medium term, and long-term financing. Lenders consider a variety of factors when financing commercial development projects in Boston, the first being the borrower’s history and stability. They review a developer’s building experience, financial reports, and other similar information. The type of development project is also important. This includes the location of the project, the size and scope, and the types of commercial space included. In most cases, traditional lenders will finance a portion of the project, but not all of it, leaving developers to look for sources of additional funding to fill the gap. Private investors are another method for financing commercial development projects in Boston. This is often referred to as crowdfunding as it requires pooling of funds across many small investors. Developers can manage their own crowdfunding initiatives or rely on third party companies for this service. In general, this process takes more time and energy to complete. It also may involve more ongoing reporting to investors. No matter what type of financing a developer may need, having the right strategy and information is critical. Working with local industry professionals can help shorten the time frame needed to secure financing and get projects started quickly. If you are looking for assistance with your commercial projects, contact ABG Realty. We have the resources and industry contacts to assist with all of your commercial real estate needs.